Home » Blog » Business Insurance for the Home Office: What Cover Do You Need? When you run your business out of an office space, it’s obvious that you need separate business insurance to cover your various risks. However, things become a bit more blurred when you run your business out of your home; a lot of small business owners assume that everything will be covered via their existing home insurance policies. 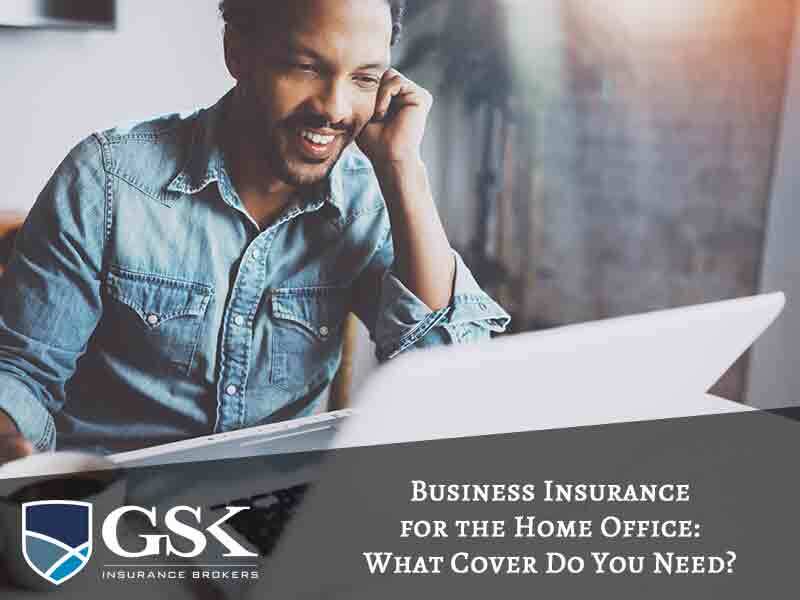 However, you still face a number of unique risks as a business owner, regardless of your location, and we’ll be looking at the cover you may need for your home office. Even if you have home and contents insurance in place, you might be in for a nasty surprise at claim time of your business property or equipment is lost, damaged or stolen. In many cases, your home insurance policy won’t be designed to cover property intended for your business. Speak to your broker about arranging cover which specifically protects your business property. If you have any third party visiting your home as a part of your business practices, you need to have public liability insurance in place. This cover will cover you for injury to a person or damage to property which occurs as a result of your business actions. If you have customers visiting your address, all it would take is for them to injure themselves on your property for you to find yourself at the receiving end of an expensive claim. Regardless of your work location, if you provide professional advice or services as part of your business then you need to have professional indemnity insurance in place. This cover is designed to protect you if a third party suffers loss or damage as a result of your actions, following an act, error, omission or breach of professional duty. Working from home offers great flexibility and is an appealing option for many small businesses. However, remember that if something happens to your home then this will also impact on your ability to run your business. Business interruption insurance helps cover your ongoing business costs in the event of something unexpected, such as burglary or damage, which means you can’t operate as normal. If you run your business from home and aren’t sure whether you have the right cover in place, have a chat with your insurance broker. They can give you specific advice around the insurance package which would best suit your home business. GSK Insurance Brokers offer business insurance Australia for a range of businesses of all sizes. We are one of Australia’s leading brokers with a loyal customer base stretching across the country and we can help develop a customised insurance solution to cover your areas of risk. If you’re on the lookout for business insurance brokers Perth, speak to the team at GSK Insurance Brokers today on (08) 9478 1933.